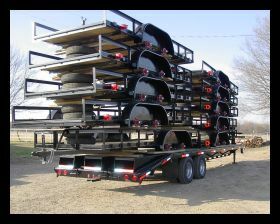 QWS Express Trailers. 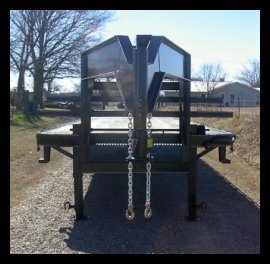 Online Catalogue of Custom Trailers Sold Wholesale and Retail Nationwide! 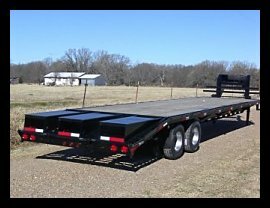 QWS Express Trailers sells on a wholesale and retail level. 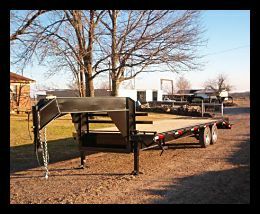 All our trailers come with a one year warranty, and are sold and delivered cleaned and primed with two coats of paint. Utilities are built to your preference, upon request. More models are available than what is shown below. Call or e-mail us for price information and more details! Call or e-mail us for price information and more details! 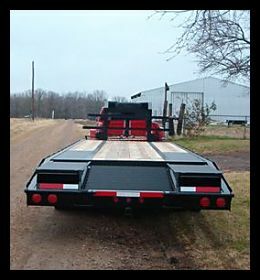 INCLUDES: Dexter axles, Bulldog Jacks, Atwood and Bulldog Couplers, Straight Fenders, Tear Drop Fenders and Tread Plate Fenders are some of the components used to create these trailers. 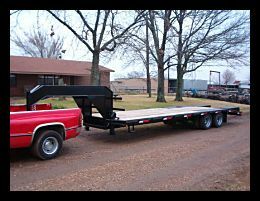 Treated floors and new tires included. 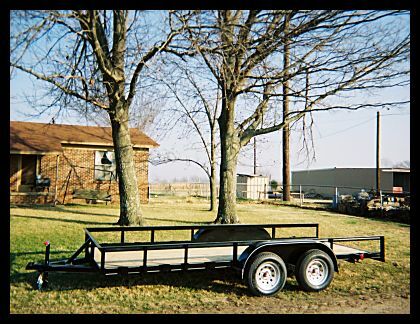 All trailers are primed, painted, wired and ready for use! 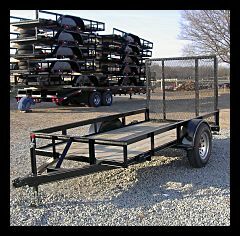 Cargo Trailers and Dump Trailers Available!